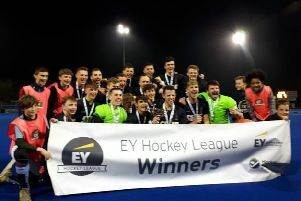 Queen's Hockey Club fieled a fifth eleven for the first time in a quarter of a century at the weekend. While men’s clubs in the province continue to fold at an alarming rate, it’s good to be able to bring you a positive story of a ladies outfit that is going from strength to strength. Saturday saw Queen’s ladies hockey club field a fifth eleven in the Ulster leagues for the first time in over a quarter-of-a-century. “Although the girls lost 4-2 to North Down, we are pleased to say that we now have over 100 girls registered to play competitive hockey for Queen’s,” enthused head coach Simon Bell. “We are competing in the bottom league and we started later than the rest of the teams just so we could make sure that we would have enough players to fulfil our fixtures on a weekly basis. “But fortunately there are no problems on that score and we actually have a few too many players but that’s a nice problem to have. Queen’s are fortunate to have Simon in a full-time capacity at the club and he spends a lot of his time spreading the gospel about the set-up. While the majority of other clubs fail to use the array of social media available to them to promote themselves the same certainly can’t be said of Queen’s. Their head coach, who played for Queen’s more years ago than he cares to remember, regularly sends out simple, basic but useful information via Facebook and Twitter as well as via what is now regarded as ‘old-fashioned’ email. Through his efforts he has also managed to attract a major sponsorship deal from hotel-group Holiday Inn.